when there is no wind, You can swing it. 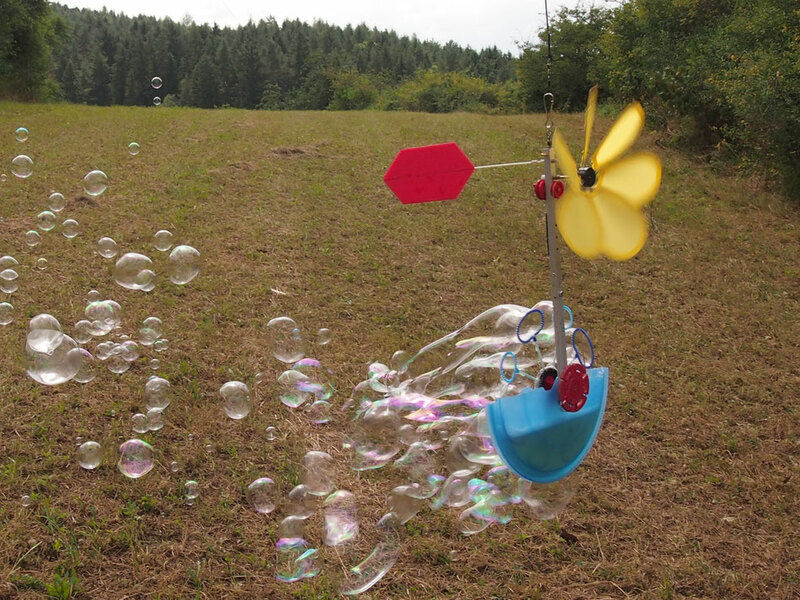 The size of the Bubble machine is aprox 50 cm x 25 cm. Check if the bubble wands are bent from transport, they should spinn free in the trough. Plug the stick of the vane in the hole and fix it with the silicon tube. 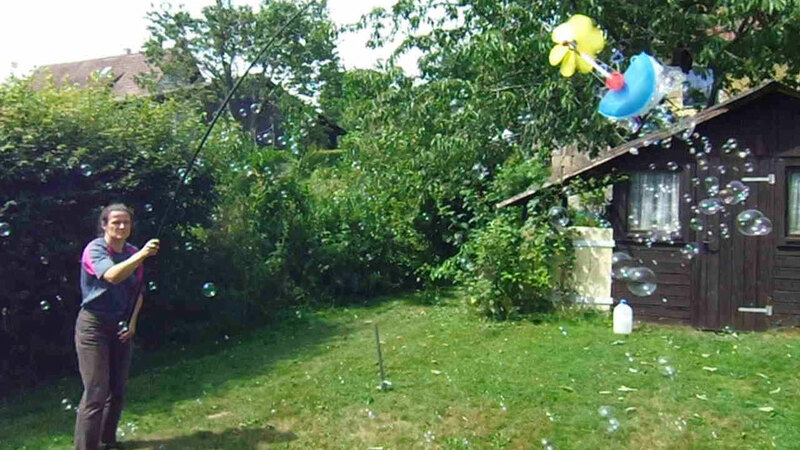 Please rinse the bubble machine after use and allow it to dry. It is not designed to stay permanently outdoors. Ideal wind range is 5 to 10 kmh, it works up to 15 kmh. - (optional) alcohol (isopropyl alcohol or grain alcohol or glycerine or propylene glycol or PEG). This liquid makes it easy to mix the guar gum without clumping. If you mix the guar gum powder first with any one of the liquids in the preceding list and then add then the water, there will be no clumping. Only a little bit is used. Alternative it is also possible to mix first the guar with the dishwashing liquid and add then the water. Dirt in the gear holes: Pull away the silicon tubes and move the gear shafts in the holes. A loose pinwheel can be fixed with superglue.